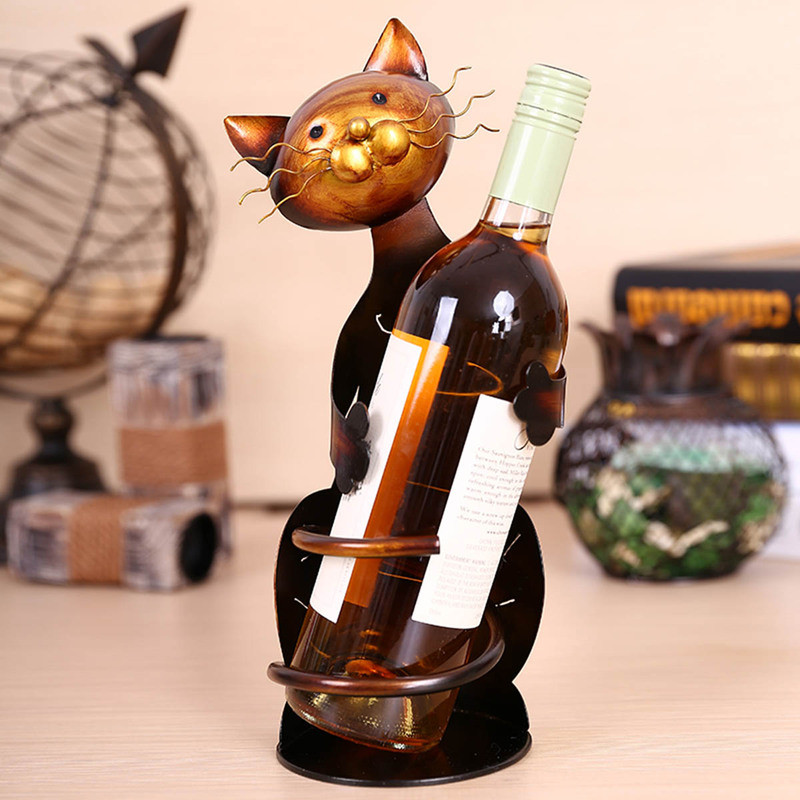 Let this vintage cat gently embrace your vintage wine. Form and function, hand in hand. Makes a lovely decor item and a striking centerpiece for any gathering from a soiree to a jamboree! Going fast. Order Yours Today. Goods received quickly. Before for 12 days. Thanks to the seller. Excellent котей, beautiful, high quality made, iron dense! Very cool and fast delivery in 5 days! Delivery 7 days. Did not communicate with. Very cute little thing, trinkets, of course, but eye pleasing. All tin or some kind of metal. Stable, heavy. Satisfied with the purchase. Recommend product and seller. Excellent seal! Accurate description, flawless. Packed well. Take the gift, Think Like) Ordered 28.08, courier delivered 31.08! Super fast! Thank You Very Much! promptly sent goods, well packed. very lovely trick! thank you seller! Not my first order from this seller, I had few other orders. Very creative product! It looks exactly like on the pictures,it is super! lovely cat. relatively come quickly, box помятая slightly, but intact stand. bottle holds great, wonderful color material. satisfied very, близкому удался man gift. goods super! at an altitude of also and seller!!! thank you so much, cat really))) заказала 28.03, received courier 30.03 home!!!! mega-just московской area to fast delivery!!! This is my second order and again, the products, shipping, everything is great! Thank you seller! fast shipping. bottle holder beautiful. фирменную упакованая came in box. flaw) for gift)) all super! @ @ is the second and stay in this shop purchase i always satisfied! package is good, the shock scatolo not received is intact and wine. really very beautiful, and there are flaws is identical description. if, is not heavy. well made and really is very cute, solo not put a night table between friends, but also great as gift. advice and advice seller. goods consistent with the description. Przesylka very well secured and has come quickly. great e.g. for parapetówke pomysl n gift. recommend to everyone. Superb service and product! I'm very happy with the item itself - it looks great! Delivery time was fantastic too! Also seller did exactly as I instructed before I ordered. Thank you very much for great service and product! seller recommend the uniquely promptness. and shop for the goods.